Holiday travel can be a challenge. It’s stressful, busy and expensive, which can make anyone hesitant about travelling at this time of the year. This doesn’t mean, however, that holiday travel can’t be easier, more convenient and less expensive. Plus, combining these factors could lead to less holiday travel stress. The keys to less holiday travel stress are: planning, shopping around for the best deals and avoiding peak travel times. Extensive planning includes, searching for nonstop flights, learning about your airports, and staying organized. All these practices can help reduce your stress and travel time, while making your trip more affordable. Searching for nonstop flights: Long delays are common during the holiday season, which can ruin many holiday plans. Therefore, you should search for and choose nonstop flights to and from your destination. If you can’t find a nonstop flight, then plan your connections well. Avoid tight connections and try to choose a flight path that experiences less delays. For example, choosing a flight that only has layovers in cities where snow and other bad weather conditions are less common. Learning About Your Airports: Big airports experience longer and more frequent delays during the holidays. So, if you know about or frequently check alternate airports, you might find a better flight and a better deal. In fact, checking alternate airports is something you should practice each time you travel. Staying Organized: Organization is tantamount to reducing stressful situations. To stay organized, make sure your paperwork is in order and pack wisely. Paperwork can include your boarding passes, ID, and/or passport. Print your boarding passes at home so that you can skip the long line at the airport. Additionally, if you’re traveling internationally, make sure your ID and passport are up-to-date. In fact, it's smart to ensure your passport will still be valid for at least 6 months prior to your trip. Make sure all of your documents are in order well in advance, and get your passport photo taken at least two months before. If you don’t know where to get passport photos, visit us, PhotoStop in Edmonton. Staying organized also includes packing wisely. Packing wisely actually means packing lightly. 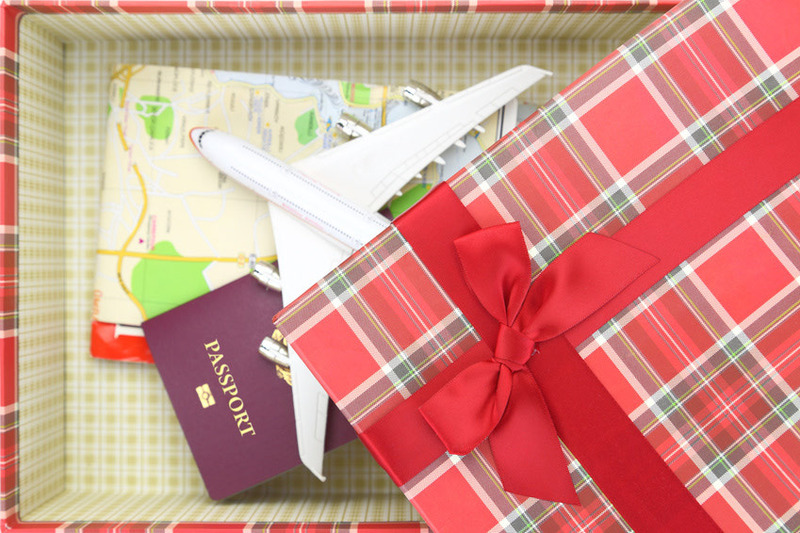 Only pack the essentials, and prior to your trip, ship your gifts directly to their destinations. This will help reduce your luggage as well as fees for that luggage. Today, comparison shopping for good flight, hotel, and other accommodations is easy, so there’s no excuse for not finding good deals. Finding a good deal is especially important during the holiday season, but it might require a little more work. Visit all the booking and metasearch sites available to find the most reasonable rates for your holiday plans. However, remember that price shouldn’t be the most important or the deciding factor in your booking plans. During the holidays, you’ll need to plan the steps of your flights carefully, including your flight times, connecting flights, adjacent airports, and the types of flights you choose. The more you shop, the more likely you are to find a reasonable flight path at a reasonable rate. Obviously, air travel is the busiest during peak travel times. For example, the day before Thanksgiving or Christmas Eve are notoriously busy travel times and should be avoided at all costs. Sundays are also the most expensive days to travel, so try to avoid traveling then, as well. Typically, you’ll find the most reasonable rates and the best flights at the top of the week – Monday or Tuesday. To greatly reduce your chances of experiencing a delay, travel either early in the morning or late at night. Airports and flights are far less populated during these times. Happy Holidays from us at PhotoStop!